Capturing milestones of our little ones makes time stand still and lets us hold onto these fleeting moments forever. Is there anything in this world more magical than that?! This session was so full of love and whimsy and Colorado beauty that everything about it makes our hearts go pitter patter. 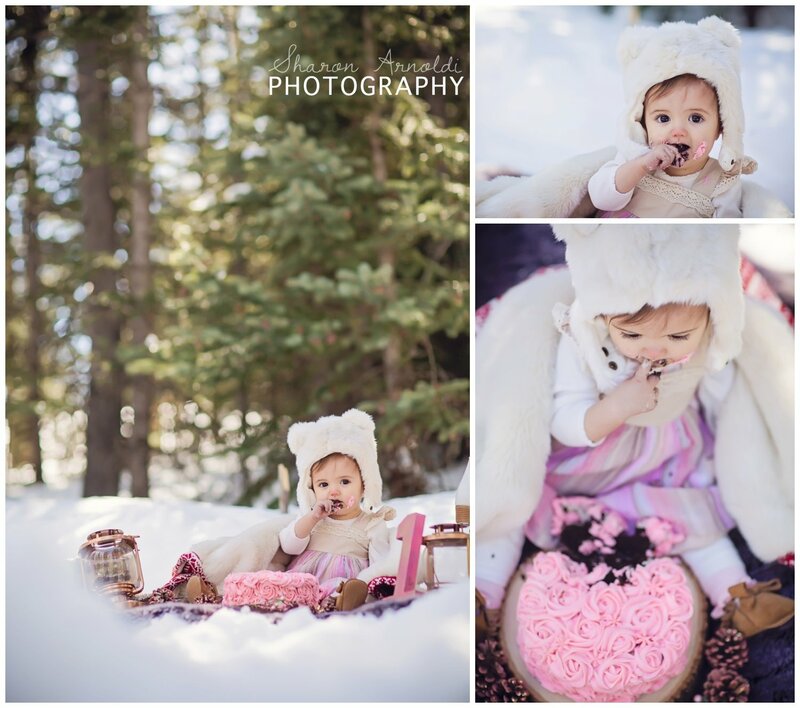 We ventured up to Evergreen for this rustic winter cake smash. It was a gorgeous sunny Colorado day with snow up to our knees in places...talk about an adventure! Pink and gold were our accent colors and the mountian forest was our backdrop! 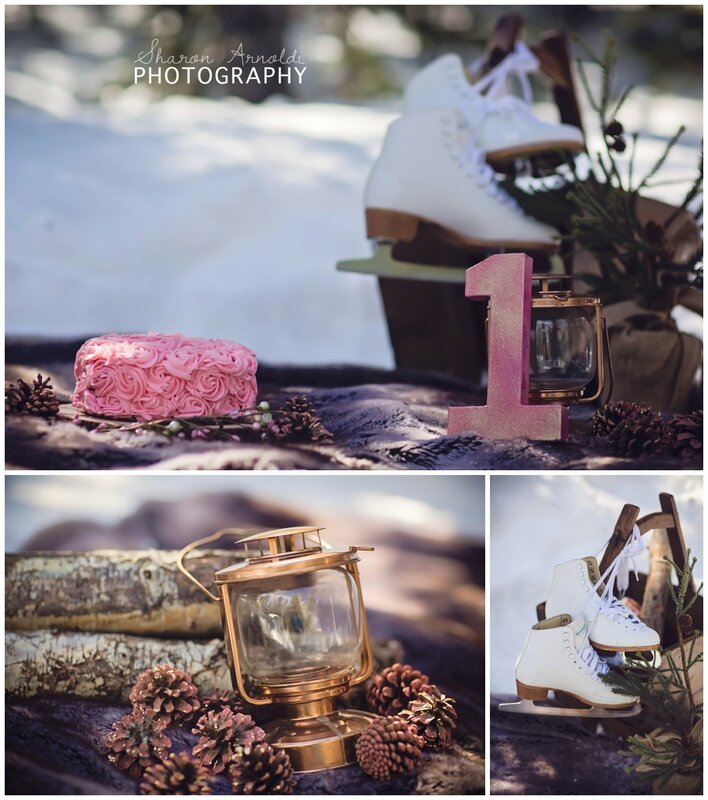 We painted pine cones, gathered logs, and found some ice skates to set the scene! 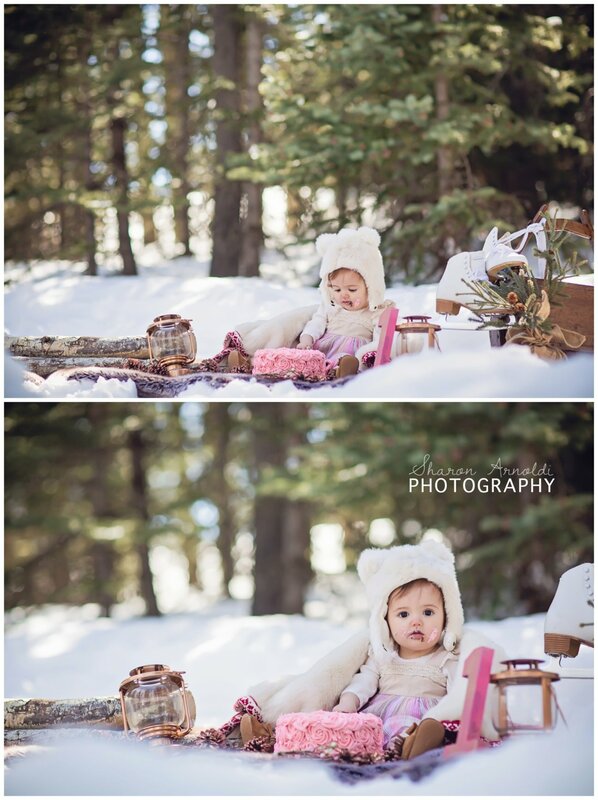 Evy was such an adorable little cake smasher for our adventure! Her mom made the gorgeous cake, and we just know that these are images their family will treasure for generations to come!